The rapper's Powamekka Café concept took over a restaurant co-owned by Nas in NYC this weekend. On Friday, April 7 Tupac Shakur‘s work was immortalized with an induction into the Rock & Roll Hall of Fame. The Harlem-born rapper’s short-lived career birthed four studio albums, 11 films and over a dozen documentaries that more then qualified him for the honor. In addition to the induction, Sweet Chick — a popular eatery in New York City’s Lower East Side — honored the legendary rapper by actualizing a vision he had of owning a restaurant. Co-owned by restaurateur John Seymore and rapper Nasir Jones, the pair changed their menu to reflect ‘Pac’s dream of Powamekka Café. As noted in their press release, over 20 years have passed since Tupac conceptualized Powamekka Café within three handwritten pages of his notebook. A place for all to “play and parlay,” the Powamekka Café, representing the finest in “down home Southern,” was to serve as a place for friends and family to get together and “escape the worldz cold reality”. From the menu, guests were treated to crispy fried chicken, red pepper-spiced biscuits, savory caramelized Brussels sprouts, decadent white mac-n-cheese, and sticky red beans and rice. As we ate, Tupac’s greatest hits and B-sides played to complete the cozy dimly-lit ambiance. Well-seasoned and methodically prepared, the menu also included chili cheese fries, thick slices of meatloaf, a super sweet peach cobbler and his cousin Jamala’s dry-rubbed fried chicken wings. The drink menu also reflected some of Tupac’s favorites, including Sunkist soda and a pomegranate ice-infused Thugz Passion cocktail with Alizé and champagne. 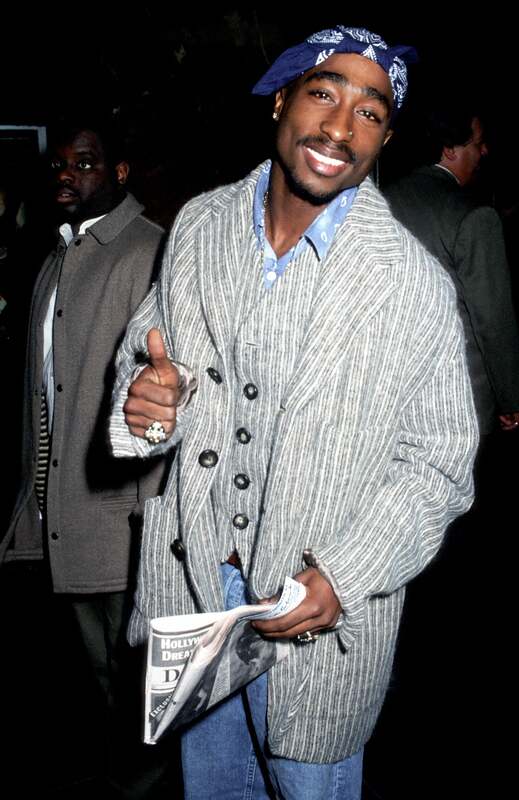 Seating about 30 people, including the speak-easy style bar, the intimate space was filled with old photos of Tupac with his family members and friends— in addition to the handwritten notes with lyrics and thoughts from Tupac. At the time of his passing, Tupac was working out his contentious relationship with Nas, so he would have undoubtedly loved the care put into making his dream come true in the hipster setting of NYC— only a few miles away from where he was born. While the pop-up restaurant ended on Sunday, Tupac’s legacy will once again be honored with his first biopic film, All Eyez on Me hitting theaters June 16— which would have been his 46th birthday.